Brian Terrell is the founder of BTerrell Group and CodePartners and oversees management and strategy for both companies. Born in Plainview, Texas in 1961, Brian grew up on a farm, where work ethics and conservative thinking were instilled in him at an early age. His grandmother taught him to value physical and spiritual health, to work hard, and to persevere. Brian works to keep things in perspective by remembering that helping others is the highest calling. Brian received his Bachelors of Science from Texas A&M University in College Station in 1984 and began his career with Arthur Andersen & Co. in Dallas, Texas. He continued his career in real estate with Garrett Co. and Trammell Crow Co., then moved into finance with Bluebonnet Savings Bank for the next two years. In 1991, Brian founded Terrell and Terrell CPAs with his wife Nancy. In 2008, the company was rebranded as BTerrell Group with Brian Terrell becoming its Managing Partner. In order to best serve his clients, Brian seeks out the most excellent employees and takes responsibility for helping them succeed. He loves technology and is quick to adopt the latest in gadgets and software. He loves the work that he and his companies do to help small and medium size businesses do more, with less effort. 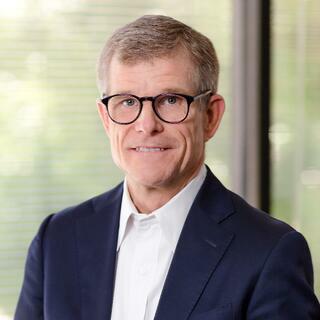 Brian serves on the Management Information Services Advisory Board at The University of Texas at Dallas and the Sage Development Partner Advisory Board. He can frequently be found speaking at conferences, where he most enjoys talking with groups about automation and innovation. Brian and his wife Nancy live in Dallas. They have two daughters, Katherine and Laura. Brian is an avid bicyclist who sometimes travels across America over a stretch weekend, in races as long as 300 miles. More than anything else, he loves to get away and ride with his daughters as often as possible.